On today’s show, Jeff Johnson from Jeff Johnson Fitness, joined Lori to tell us about this journey in fitness. They started off talking about the aspects of fitness. Jeff told us “we are meant to move.” Then he shared his involvement in high school and college sports, and the computer desk job he couldn’t stand before he found his passion for helping people be fit. he shared how he and his wife owned three Curves for Women prior to becoming certified as a personal trainer. 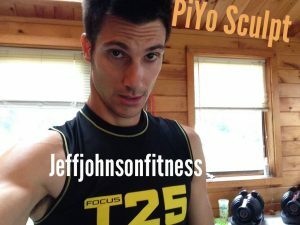 Next, the conversation highlighted Jeff’s multiple certifications, the opportunity he had to record videos for Beach Body in LA, and how he now trains the trainers. They continued about taking risks, having faith, and taking baby steps toward your fitness goals. Finally, Jeff shared a few success stories from some of his clients, and told us the various reasons people work with a personal trainer.